Developing your own film might be the cheaper (and more amusing) way to go, but with all the preparation and lab space required, that simply hasn't always the best option. 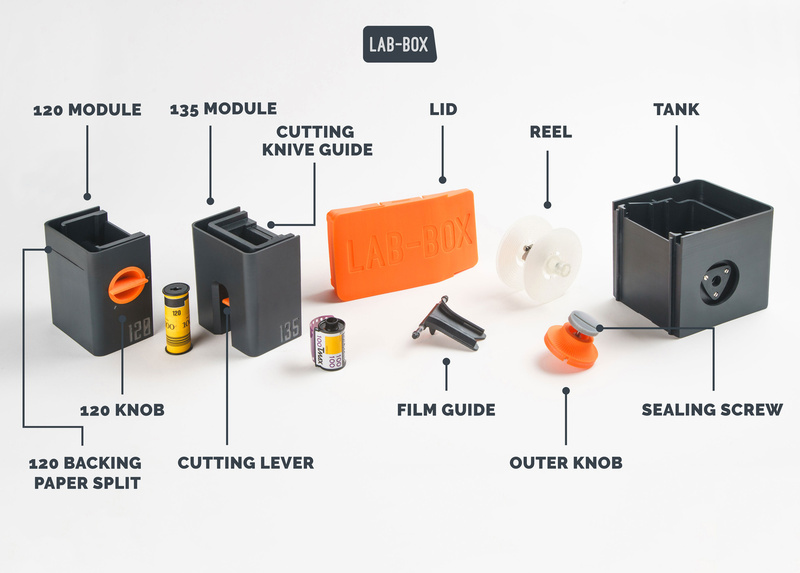 Ars-Imago's Lab-Box hopes to solve these problems in a small, light-proof container that enables you to develop your own film at home or even while traveling – yes, it's that easy and compact. The best part: it's not all that expensive, either. 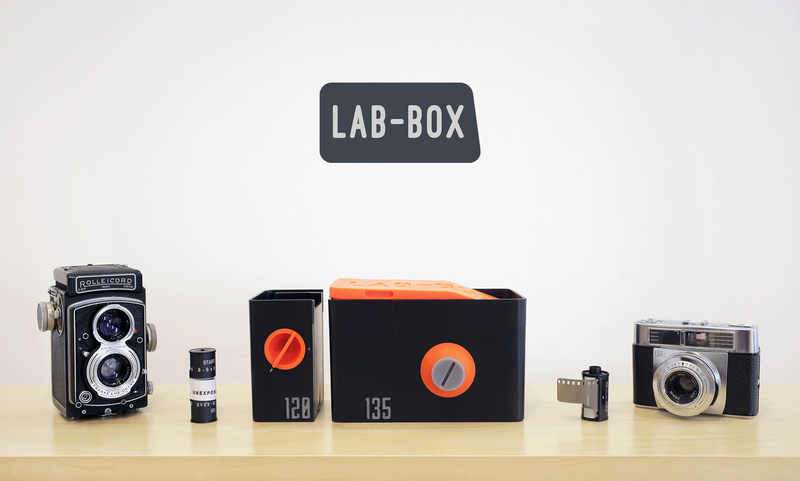 The Lab-Box is exactly as it sounds: a lab-in-a-box. Put your film in one end, wind it around the reel with the knob on the outside, add your chemicals, agitate with the same knob, and you're done. The real magic, of course, is the Lab-Box's ability to wind a roll of film onto the real automatically. It's also dual-format, enabling both 35mm and 120 film development with a small tool-less adjustment to the internal reel. And you can use it anywhere: inside, outside, on-location, etc. 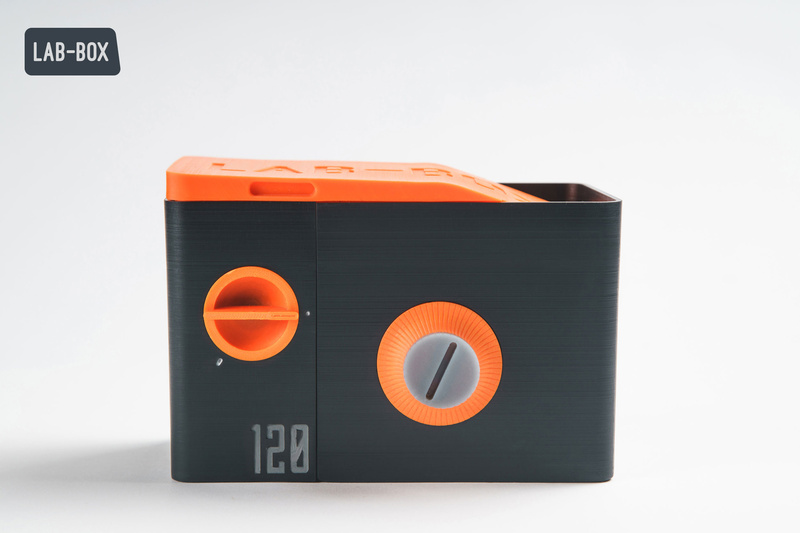 Lab-Box is built to accept both 120 and 135 (35mm) films with a simple module swap. Lab-Box is designed with the intention of providing multiple options for balancing agitation frequency and chemical waste. As little as 250 ml can fill half of the tank, but will require constant agitation through rotation of the outer knob. Alternatively 500 ml of developer will fill the entire tank and submerge the entire roll, requiring less agitation, but using more chemicals per developing session. To get an understanding for how Lab-Box works, it's best to watch the video below. Those just starting out in developing film will likely agree one of the most difficult parts of proper development for a beginner is loading the film onto the reel properly. Indeed, this was difficult for Ars-Imago as well, given that about half of the entire development budget was spent on engineering a reliable mechanism that would automatically and properly load film onto the internal reel while encased within the box. Veteran at-home developers will also surely appreciate the prospect of never having to do this again, save for some increased nostalgia, perhaps. 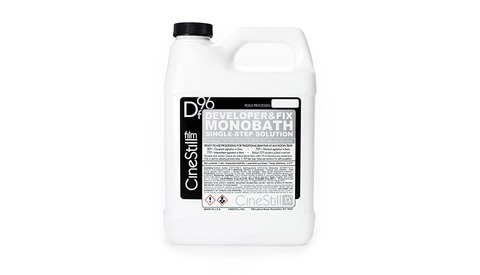 In addition to now having access to the dream, compact, daylight-compatible developing box, those looking to use Lab-Box can combine it with simple all-in-one develop-and-fix chemicals such as Ars-Imago's own Monobath or New55's R5 Monobath Developer for black-and-white film. Color shooters should check out CineStill's two-step, "Color Simplified" Cs41 film developing solution for C-41 films. All of these new simplifications of the at-home developing process should allow more people to enjoy the process of shooting and even developing their own film. Lab-Box can be reserved now on Kickstarter with a planned ship date of September 2017. Prices start at €69 for a single-module configuration and €89 for both modules with various additional options for film, Ars-Imago's Monobath all-in-one developer, and even some rolls of film. UPDATE: Lab-Box reached its goal in just a few hours. Backers can still reserve single-module (35mm or 120) Lab-Boxes or dual-module kits with film and developer as a package deal. This looks pretty awesome just as a quick load solution, but how in the world are they addressing chemical dumping if you're on the go? You'd still need to carry around something to dump your developer/fixer into, correct? And then when you're out and about how is your film going to dry? That's very true. But a lot of the monobaths can be reused several times within a couple weeks from what I understand. So you could hypothetically just pour it back into the bottle with a funnel and not have this be an issue. But with typical chemicals, you'd have some problems if you wanted to be responsible with the chemicals (which you should be). What would be really cool is if you could buy empty cartridges with a reel and some sort of basic filtration (for dust) that film could be spooled into directly from the Lab Box. Then you could have a few rolls drying without having to hang somewhere. Roll curled film opposite of curl and put back in container for 35mm. 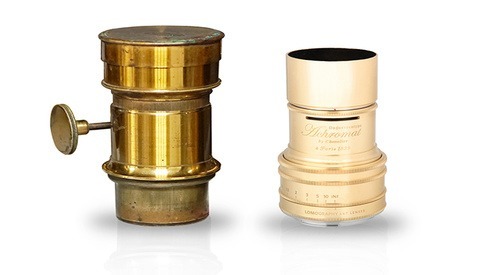 For medium format do the same after buying medium format sized container. Doesn't take too long to get flat film after that. They're offering a batch of caffenol in on of their pledges. Technically that's non-toxic. Still, fixer would definitely still be an issue. Nice gadget. Makes me feel like it's the 70/80s again. It's so awesome. I jumped on one myself ;-) I had to restrain myself from buying two or three or....the business pack. haha. This unit has some issues, such as the agitation issue outlined elsewhere, but there's also the issue of cutting at the end of the roll after loading into the spool. It's sometimes possible to get extra frames at the end, depending on how you load film into the camera. I used to get 38, sometimes 39 frames out of a 36 roll. This cutter could sacrifice the last frame in such an arrangement. So it's kinda interesting, but not really that much more practical, I think. I think it still seems way easier and more compact, etc., than setting up a standard system. Loading film onto a reel is the biggest issue for those new to the process. This makes it much easier. This is awesome! No need for a darkroom setup. You don't need a darkroom for developing film anyway. You're thinking of the printing process. You need a darkroom (or at least a dark room ;-)) to be able to take the film out of the canister and load it onto the reel. I suppose a tent works...but regardless, this requires neither. That's a pretty neat feature. I keep a 16"x17" changing bag with me when I travel sometimes and use caffenol to develop & salt as a fixer (<--a 24hr fix, but it works), though you always need to plan ahead for fixer disposal. I'm in on this kickstarter. It'll definitely make the whole process simpler. Adam and Michael have responded that the film has to be transferred from canister to developing reel in the dark. I've watched YouTube videos of demonstrations using dark rooms and changing bags; this process looks a whole lot simpler. I haven't priced getting the different components needed for film developing; some of the items would be shared like the containers for mixing, but the developing tank and reel, timer, etc.. This kit just looks like it simplifies the process. Absolutely. For working on the go, this is looks much simpler than a bag! I put my support for the campaign in on day one. Between this and the SP-445, I'm might just end up getting rid of my Patterson tanks! I have used a very similar container in my darkroom. The concept is just a revival of that tank. 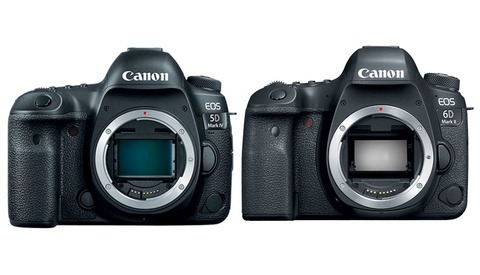 The only difference was that mine accepted only 135 film. I used it a couple of times, but in the end reverted to the classical Patterson tank. Reason: the rotary agitation has a tendency to produce streaks on the film. Using a 'regular' tank the liquid inside is much more turbulent during agitation yielding better results. As stated in the video agitation could be increased to constant or the tank filled completely. When I used to do my own printing I used to develop my prints in light tight tubes that were spun on a motorized rotary base. I never had any uneven development. It's doable. Edit: On second thought that rotary based alternated directions every five seconds or so. I would imagine it's pretty easy to give the tank a slight side-to-side movement if you're worried about that. I used a tank almost identical to this for years. My father got it in Germany in the 50s. Made by Agfa if I remember correctly. It had some issues. Since you are only turning the film in one direction, the film would streak as areas of different density would exhaust the developer at different rates. The reel did not have any holes in the sides to let chemicals through. The only way the chemicals would reach the inner coils of film was through the sprocket holes. This caused increased development at the holes. No real way to agitate properly causing very uneven development.